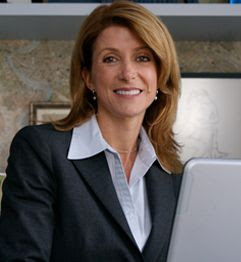 Texas State Senator Wendy Davis (D), has become the secular media darling for staging an 11 hour filibuster against a bill that would restrict late term abortions and make abortuaries (what an abortion mill should be called) "safe" for women (actually since half the babies murdered are female, it could never be safe for them). Seems pretty reasonable, not like those "fanatics" who want to take away a woman's "right to choose" altogether, right? "2. If you don’t believe that human life begins at conception, when do you believe it begins and at what point does an unborn child acquire human rights?" "2. I honestly don’t know the answer to this question, many struggle with it. But I do know for a fact that any abortion restrictions would limit a woman’s right to her own body at any term of the pregnancy. When does the fetus’s right to life trump this right to her own body? You think at conception, many disagree." Kind of like an 1850s version of Wendy or Barack, slavery can be justified because we "don't know" the answer to a "difficult question" on which many people disagree. The pro-aborts beg the question as to whether or not the fetus (Latin for "little person") is human and assume that it's part of a woman's body. From the first moment of fertilization, the zygote has a complete genetic code that is totally human and completely distinct from both mother and father. The fact that it depends on the mother for life no more robs him/her of humanity than someone who depends on an iron lung for life ceases to be human and becomes part of the machine because he/she can't live without it. Every zygote becomes a fetus, and every fetus becomes a human baby--always human. Now even if I were to concede (and I'm not) that we don't know when the zygote "becomes human" that is enough to stop abortion. Think about it. If you go deer hunting and you see something move in the bushes that could be a deer or could be a fellow hunter, what do you do? You can shoot and hope it's a deer, or you can refrain from shooting because it might be human. The innate moral law tells us that only the latter course is acceptable, even if it means a prize deer gets away. When in doubt, you must choose the side that favors the preservation of innocent human life. Texas Gov. Rick Perry called the legislature back into a special session for 30 days to pass the bill Davis killed. While pro-lifers peacefully gathered and sang "Amazing Grace" orange shirted pro-aborts were screaming "Hail Satan!" A fitting slogan for the cheerleaders of death. Then again, the way things are going, they might want to substitute "Wendy" or "Obama" for "Satan." When you get right down to it, they all stand for the same thing anyway. Didn't Vatican II Make Enough Of A Mess Already?